For many years the Microsoft Community has participated in the worldwide partner conference (WPC) assembles. All participants have the fantastic opportunity to get new contacts, to develop new partnerships and to find out everything about the actual developments, strategies, and innovative technologies going on in the IT world. Microsoft employees report the newest knowledge and the newest programs from their own house and partners from around the whole world present their products and solutions to the participants. Thanks to this unique possibility, conference members can actively take part in the exchange of advanced solutions and commercial strategies, changes and advancements in the area of the information technology. The Microsoft Worldwide Partner Conference WPC in 2014 will take place from the 13th to the 17th of July, in Washington, D.C.
proMX has worked with Microsoft for several years and as its golden status partner for the Worldwide Partner Conference. 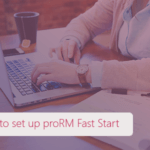 The team of this software development house from Nuremberg presents its solution proRM, which is of benefit to any organization with its abilities relating to coordination and conversion of distribution management, resources management and project management for companies of all kind and size. 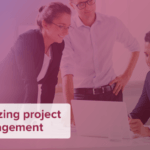 This solution, proRM, accompanies project partners in all important phases and supports your management in their project planning. Besides, the personnel management component gives information about the qualification and availability of employees and shows whether their employment qualifications meet your needs for a particular project. These resources can be controlled immediately and perfectly and be distributed optimally to your projects. Project term resources, expenses and processes are exactly observed and evaluated until completion. Nowadays effectual project control is of great importance. proRM allows to you to implement projects economically, reliably and on time. Our solution is the best priced option available. Little time is available to construct a regular project structure. The procedure rules and the hierarchy of the system are tuned to the specific features of the project and within the functions of project management / project control. The applications of the proRM solution in the cooperation with Microsoft Dynamics CRM fills all demands made for effectual project management. Current users report about the reduction of their expenses thanks to the use of the combination of proRM and Microsoft Dynamics CRM – often more than 30%. Quality, sustainability and economic efficiency help your company to establish a foothold with the international competition and to remain competitive over the longer term. Our management meets you with pleasure from the 13th to the 17th of July, in Washington, D.C. and will consult on all possibilities of the proRM solution.